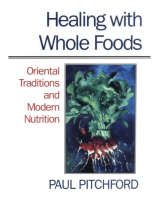 Teacher, healer and nutrition researcher Paul Pitchford brings together Western nutritional science and Chinese medicine to create one of the clearest, most readable, comprehensive guides to conscious eating. Extensive information on health-balancing properties of specific foods, traditional herbal remedies, tips for protecting yourself against environmental toxins, in-depth exploration of the relationship between foods and emotional well-being. Includes 300 nutrient packed delicious recipes. If you want to be inspired to take charge of your own health this book is an excellent choice. You don’t need to be at risk for osteoporosis to find this book useful. Ms. Colbin is someone you will trust as soon as you read the first paragraph of her Introduction. 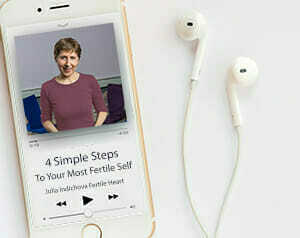 She is clearly someone who speaks from personal experience and her insights are invaluable. 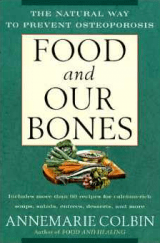 Includes recipes, information on key nutrients, foods that drain calcium and foods that build bone. Especially useful for anyone with elevated FSH levels.